Suspension of classes on Tuesday, July 15, 2014 due to bad weather brought by Typhoon Glenda has been declared by local government units. Here's the official list of areas with class suspensions provided by the Department of Education (DepEd) via its Facebook page. 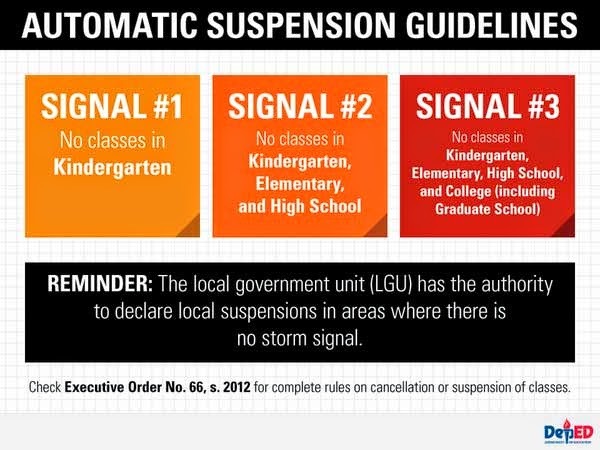 The complete guidelines for automatic suspension of classes can be found on this page.